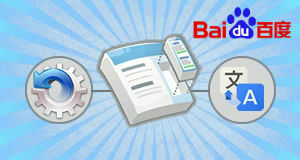 The Chinese search giant Baidu has revealed it is to launch a virtual assistant powered by an artificial intelligence. 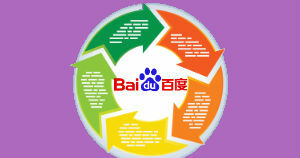 The AI is called Du Secretary and will live within Baidu’s mobile search app. Du Secretary will be able to provide relevant responses by understanding its location, any current promotions, and the user’s personal preferences based on their previous interactions with the virtual assistant. 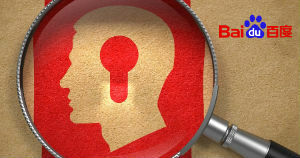 Businesses that want to take advantage of the discovery opportunity that Du Secretary offers will simply have to list their businesses on one of Baidu’s services, such as Baidu Maps. Competition in the online video advertising market is hotting up in South Korea. YouTube is set to launch its Google Preferred service in the country on 1st October, which allows advertisers to buy advertising inventory with the top 5% YouTube channels in advance. This benefits both the channel owner, who sees an increase in revenue, and the advertiser, who sees an increase in brand awareness and ad recall. YouTube will face stiff competition from local search engine giants Naver and Kakao, however. Naver is to launch a beta version of its video platform Play League on 5th October, which will operate in a very similar way to YouTube and will be available to anyone with a Naver ID. Naver also operates an online entertainment channel called Naver TVCast. Its arch-rival Kakao also runs an online entertainment channel, Kakao TV, which currently has around 40 million subscribers. Research by Gemius has revealed that a quarter of online shoppers in Poland buy from foreign sites. 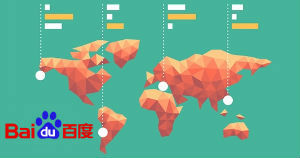 Amazon is the most popular foreign site that Poles shop from, followed by eBay in second place and the Chinese B2C ecommerce site AliExpress taking third place. Clothes, accessories, books, films, CDs, apps and e-books are the most popular items that Poles buy from foreign online stores. Buying items that are not available in Poland, and simply wanting to buy cheaper items, are the two main reasons given for shopping from foreign stores. Polish people who are male, aged 24-35, more highly educated, have a good income, and from cities with a population over 200,000 were most likely to buy online from foreign sites. Android has just overtaken iOS as the most popular smartphone operating system in Australia, according to research by Telsyte. 54% of smartphones sold in the first half of this year ran on the Android operating system, compared 41% which were running on iOS and the remaining 5% being Windows Phones. Australian consumers have traditionally been huge Apple fans, with iOS penetration in the country being the second highest in the world, coming behind only Japan. The recent decline in popularity may therefore be worrying for Apple, especially when coupled with the fact that 10% of Australian Apple Watch owners have admitted to no longer using the devices. And finally, a study by FDIH has shown which online purchases are typically planned in advance and which are bought more spontaneously in Denmark. Travel tickets were most often bought with prior planning, but clothes, shoes and accessories were more likely to have been bought on the spur of the moment with no prior planning. Grocery items were also likely to be bought on the spur of the moment. 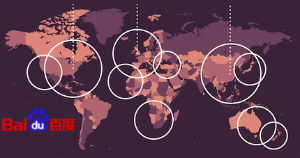 The Danish B2C ecommerce market is predicted to the worth 90 billion Danish krone this year.